When Google+ announced it would launch Communities a few days ago, loyal users didn’t dare take their eyes off their computer screens. In fact, as many anxiously waited for their invitations, they were also posting jokes about continuously stroking the F5 key for a refresh. And, for the techies on Google+, that was hilarious. Many others likely know little about this new Communities feature. Heck, they may not even be active on Google+ at this point. Despite hundreds of millions of people on the service, chances are they know only a fraction of their Facebook friends who are actually engaged on Google+. But for many people, this new Communities feature will be a game changer. 1. The intent is pretty simple. Communities provide a more permanent place for your passions. Before the launch of the new feature, so much of what you were posting relied on the people in your circles, rather than a shared topic. 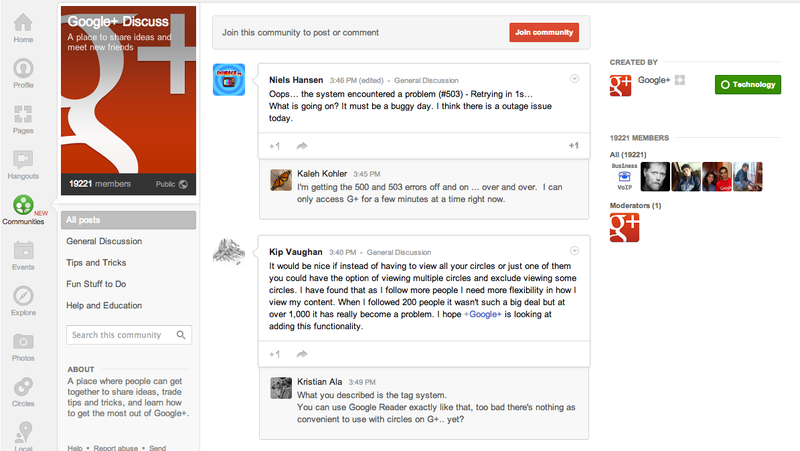 Some critics believed that’s what was flawed with Google+ in the first place. 2. 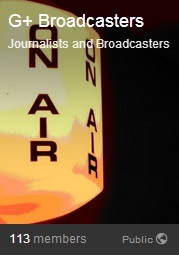 As a journalist, it reminds me of going “hyperlocal”. Around a decade ago, The Lawrence Journal-World unknowingly became the birthplace for hyperlocal journalism by covering things like t-ball games and music. Readers who may not have been interested in the paper previously became extremely engaged in the hopes of seeing a published picture of their child swinging a bat. The Communities feature has that same feel. 3. These are your people. When you join a community, it’s not just any person you’re hanging out with. From craft beer lovers to puppet users to social media marketers – if you can’t find a community to join, you can create it with a click of the mouse. Seriously, you just hit “create”. 4. Once you get into a community, you’ll see it’s set up much like a forum—only a really clean forum. I hate using the word forum because most of the ones I’ve tried to join seem clunky and hard on the eyes. But Google’s set up is very easy to navigate. There are public and private communities. You can select multiple moderators. You can host hangouts within the community. And, depending on the setup, you can share information outside of your community. Communities are also similar to Facebook groups, but smarter. Since you can post to a category in Google+, your thought or discussion has a place to live indefinitely. If you loathe scrolling down for an old post in Facebook, you’ll appreciate Google+ categories. Since the addition, some avid users have already discovered a few bugs. For example, two days from launch, users noticed if you start a hangout from a private community, it also invites the public. Already, Googlers have responded and there’s a fix in place. In short, communities are for the wonderful, the weird, and the wonderfully weird. This goes way beyond the “Look at my salad…yum! !” post you vowed you’d never make. This is the where the relevant go to be relevant.